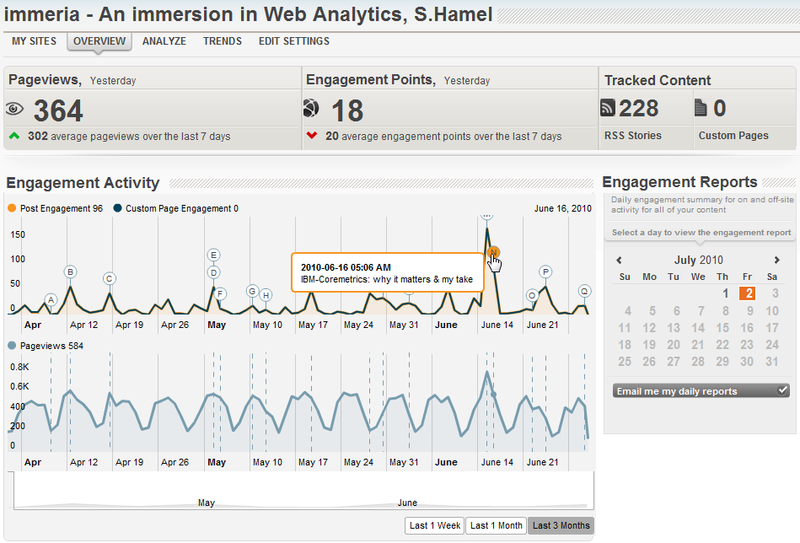 immeria: Google Blogger with real-time stats: why? 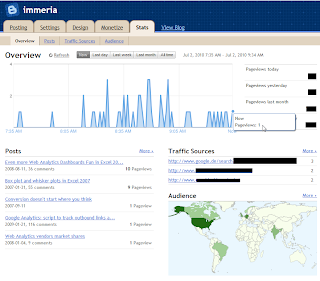 Google Blogger with real-time stats: why? This morning I stumbled (literally - as well as mashable) on a post mentioning the availability of real-time analytics in Google Blogger, the platform I've been using since October 2002 to host my blog. Availability: Stats are showing up in Google Blogger in Draft under the Stats item and data is available since July 1st. Blog owners do not have to do implement any tags or change their configuration. Metrics: Near real-time stats are available for a number of metrics: post pageviews, referring URLs, Referring Sites, Search Keywords, Countries, Browser and OS. 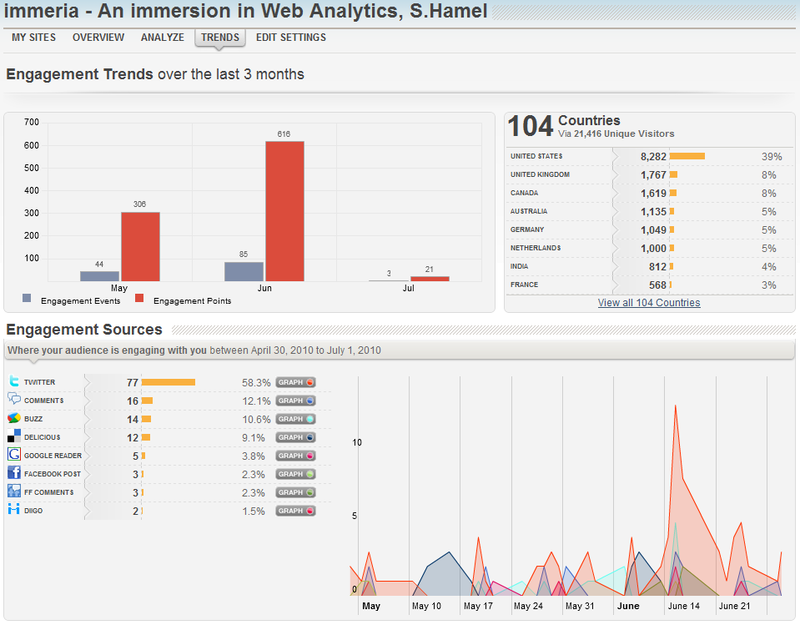 Dashboard: There is a single dashboard under Overview which uses the same UI as Google Analytics. This is a very light weight and toned down reporting tool - I wouldn't even call it "analytics" as their is virtually no actionable data. Notice the absence of several simple metrics such as: Visits, Time on Site, New vs Repeat visitors, any of the Loyalty metrics. More importantly, there are no campaigns or AdWords integration (or AdSense), no content categorization (the reason why we use tags on blogs!) and of course, no Goals. 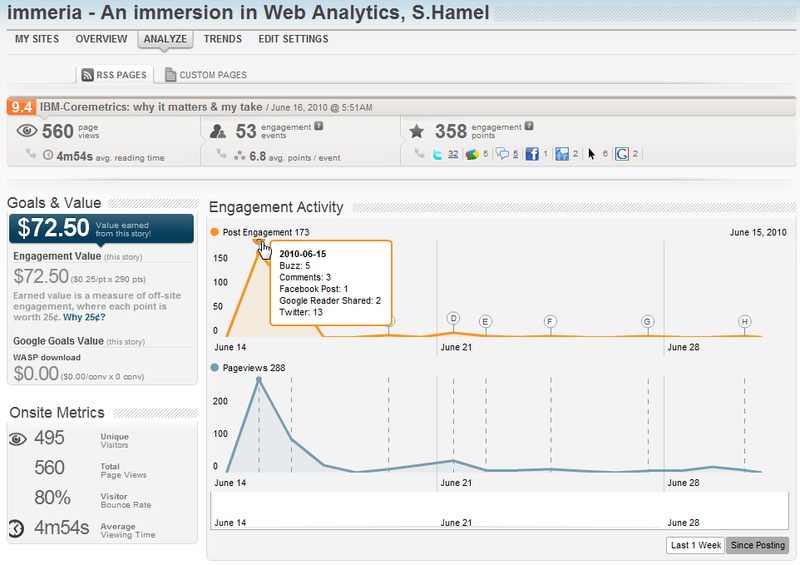 In this day and age of social media, how could they miss integrating Feedburner stats? Google acquired Feedburner ages ago and it's pretty much still in the same state it was then. How could they miss integrating any type of engagement information such as number of comments per post or number of mentions on social media? What about creating a special traffic source category for social media: Twitter, Facebook, StumbleUpon, YouTube, etc.??? My first impression is... well... how can I say: what the heck?! Don't even bother with this. If you are using Blogger out of the box without any customization, maybe I can understand. But seriously, integrating Google Analytics to Blogger can be done in a snap. 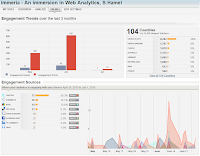 If you are serious about analytics on your blog, install Google Analytics and use PostRank Analytics. See my review of PostRank from September of last year - still using it, still loving it! Their infographics are very useful and tailored for blog owners, they integrate useful data from multiple social media sources and provide useful "engagement" data. The per-post Conversion Feed provides details about every social media mention and the new Activity Stream offers a real-time view of our social presence. gaAddons v2.0 - now with async!